In her book, Becoming Yourself: The Journey From Head to Heart, author Jan Engels-Smith shows you how to incorporate the creative heart and soul powers into the process of Western rational thought of self-analysis. The results are a journey towards complete self-awareness - one that ultimately integrates the total self - mind, heart and soul. 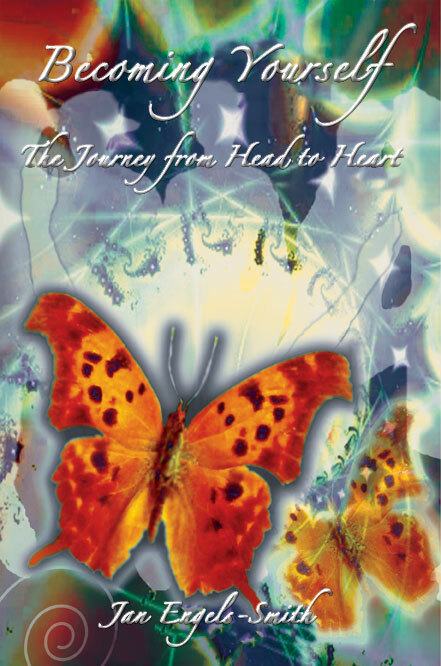 The revised and expanded edition of Becoming Yourself: The Journey from Head to Heart contains numerous new teachings and spiritual insights that have come through as “downloads” that the spirits share with Jan. The spirits were clear during the book’s revisions that basic truths must be revisited and that instead of writing a new book, Jan was to expand this material, building for the reader 21st century concepts that are applicable for extraordinary understanding of universal truths that create well being. While a number of books address the individual's need to connect with one's spiritual nature, Becoming Yourself shows how to connect to it and to use this energy to restore wholeness. Jan's book conveys spiritual lessons through personal accounts and offers proven healing methodologies and exercises based on her decades of experience as a science teacher, counselor and shamanic practitioner. Jan seeks to intertwine physical, emotional and mental concepts and convey them with warmth and support. This creates a powerful, practical and comprehensive guide that enlightens and inspires readers on all levels of the spiritual quest for self.